SAINT PETER— Weeks after winning highest honors at the Eau Claire Jazz Festival, the Gustavus Jazz Lab Band has released a new album of smooth, original jazz tracks. The album has been hailed as a refreshing alternative within Gustavus music groups’ discography, which has traditionally consisted entirely of Lutheran hymns, classical instrumentation, and that kid from your first-year section’s Soundcloud DJ page. 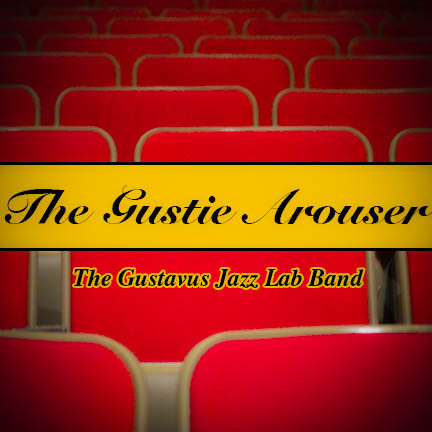 The Gustie Arouser has gained widespread praise for its array of musical influences and its showcasing of talented student musicians. For instance, the album’s eighth track, “It’s Co-Ed for a Reason,” features a 27-minute saxophone solo from Senior Music Major Danny Feltin. While the deliberation process for the award has not yet begun, some have speculated the album may make Director David Stimps the college’s second current GRAMMY-nominated music faculty member. The Gustie Arouser is available for purchase in the Bookmark, the college’s bookstore, for $65.50, or anywhere else online for $12.